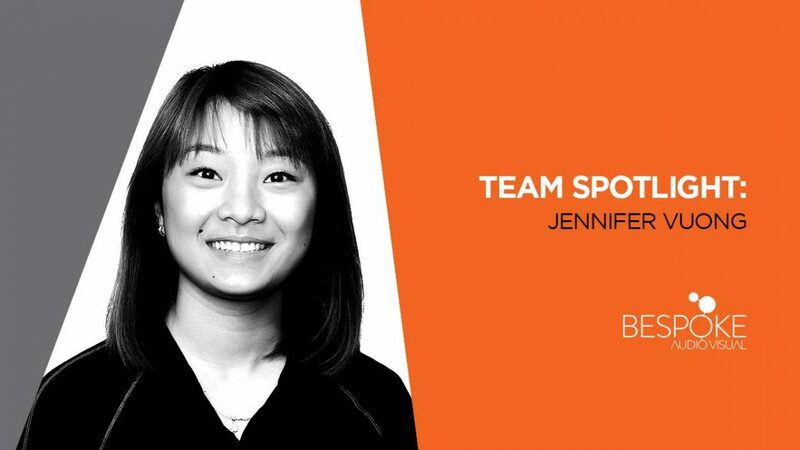 In this edition of our team spotlight series, we are introducing you to Jennifer Vuong, Production Technician at Bespoke Audio Visual. Jennifer has worked in the audio visual industry for four years. Her calm demeanor, technical knowledge and positive energy make her a great member of our team. There are a lot of things that excite me about joining Bespoke Audio Visual. This is a team that is second to none in my opinion. As general as this is, I think the most exciting thing is continuing to grow as individuals and as a team with such great characters in this company. As talented as these individuals are, they’re also some of the most amazing, down to earth human beings. As much as I’d love to say I spend my free time doing the craziest of things, in this industry, free time is hard to come by. The free time I do have is spent quietly with family and friends, running errands, or being active, like going for runs or hitting the gym. I think if I didn’t need to sleep, it would come down to learning and being more creative. I would spend more time learning how to play the guitar to programming to music producing to photography. The most amazing adventure would be travelling to every part of the world in one trip. Nothing fancy, just a backpack and staying with the locals in every city. Experiencing their day-to-day lives as well as learning their country’s history. Experiencing all the different cultures and religions across the world. An ideal weekend would definitely be a weekend getaway. There are these really cool looking treehouse cottages that I would love to experience, with clear sights of the night sky. Pair that with a good book/music and we’re set! Either that or travelling someplace new. Build a robot! Doesn’t matter how big or how small. I have no experience but robots are just so fascinating. You’re so funny because I’m not funny. I never mean to be. I’m a pretty serious person – not! I think the greatest gift you can give someone is laughter so that would be the best compliment.